Steve Sarkisian is no longer the USC Trojans’ football coach, and he has reportedly checked himself into a rehab facility outside of California. But according to ESPN’s Joe Schad, athletic director Pat Haden didn’t fire Sarkisian as smoothly as he could have. 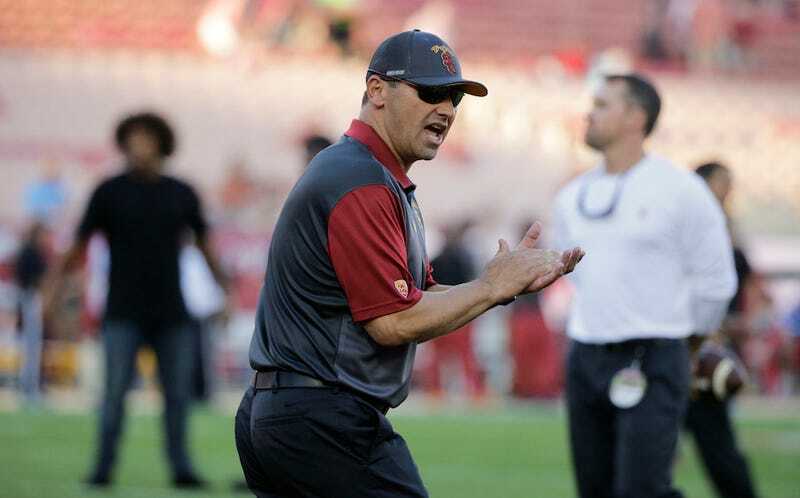 The roughest part: Sarkisian didn’t even talk to Haden over the phone to learn of his firing. Because of the poor communication, he found out through an email. Sarkisian could try fighting that decision in court. For now, he’s just getting help.